The time has come to start to clutter up the wonderfully airy open space in the tiny house with some walls. 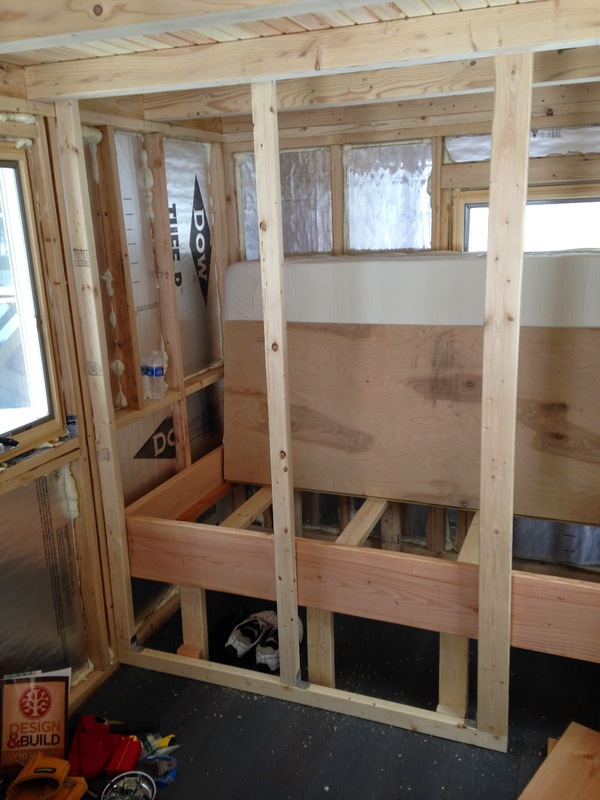 These will effectively form the shape of the bath room but by extension will provide the walls in the living area and the second bedroom in the back. I had just posted on the '2nd bedroom' and now I'm moving forward towards the front entrance with the walls. Main concern is to make the walls thin but sturdy due to space and weight considerations. 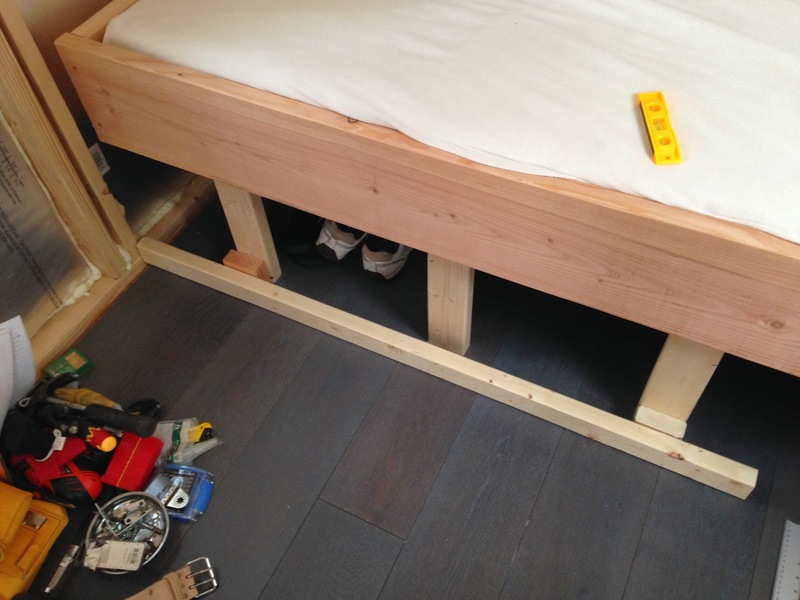 Using the installed bed as the starting point, I put down the bottom of the wall with some screws (3). The upright (3) go up from there. I used a full 2x4 for the upright furthest to the right as that one will hold the door to the bathroom in the hallway and is most likely to have the most stress put on it. 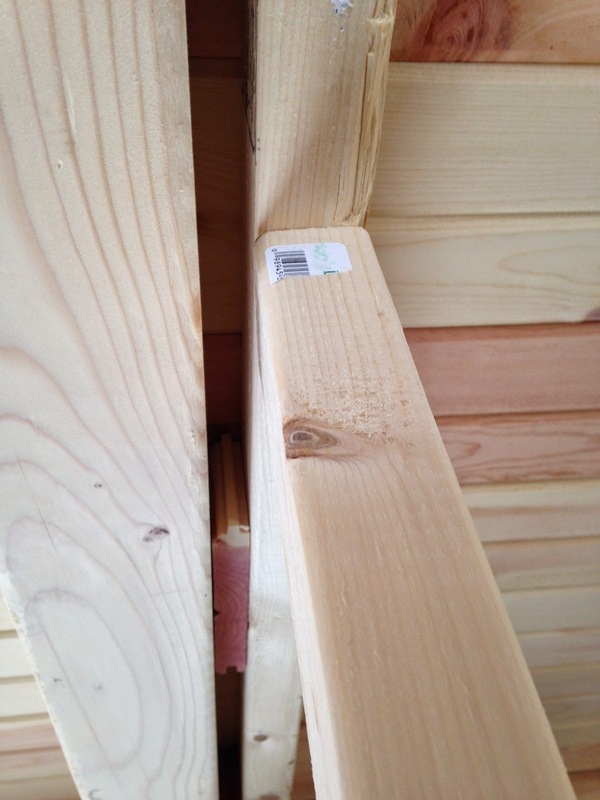 When the uprights where completely vertical, it left a bit of a gap to the ceiling loft cross beam. I used some scrap wood to create the needed space. Some 90 degree angle pieces were used to attach the top and bottom rail to the uprights. 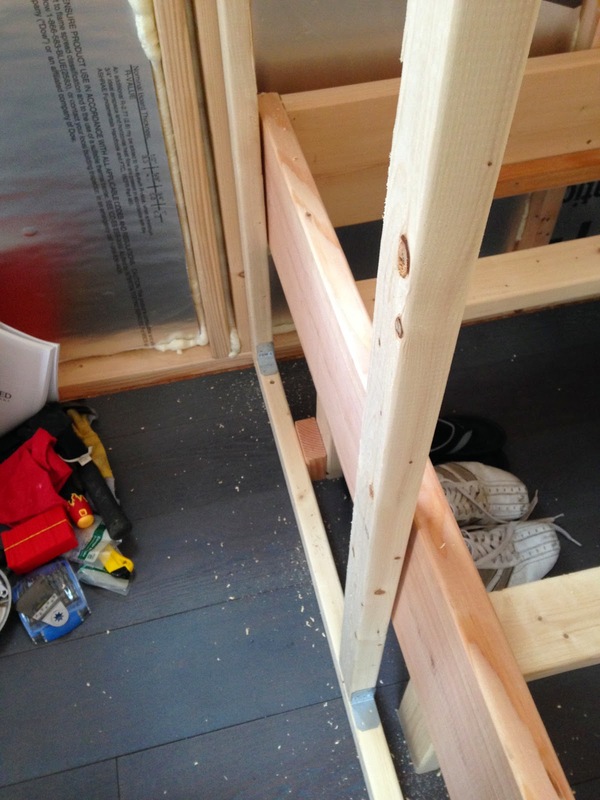 I also shimmed out the uprights against the bed frame (see above) and drove another screw through there. The whole thing is pretty sturdy and I'm happy with how it turned out. 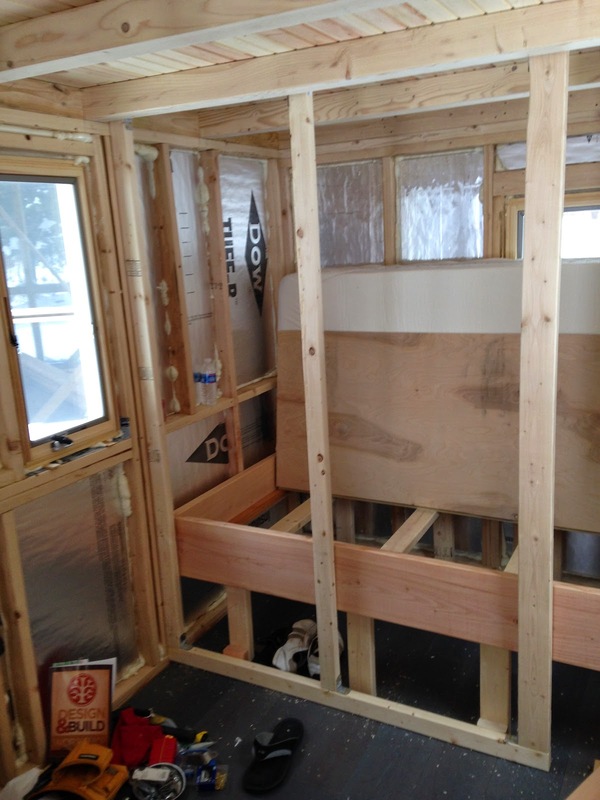 The wall will be clad on both sides with whatever pine paneling I choose to ultimately use on the interior. I also plan to put some noise insulating foam panels into the pocket created. Next task will be to frame out the rest of the bathroom. Hope there will be enough room for everything to fit.